Asteroid 2004 BL86, slated to swoosh by Earth on Monday Jan. 26, is the largest known body to pass near our home planet until 2027. But there’s no need to panic as the astronomers estimate that the 1,640 foot (500 meter) wide space rock will pass by Earth at a safe distance of about three LD (lunar distances) – that’s 745,645 miles (1.2 million kilometers) from us. “We can indeed safely say that there is no chance – in the next 100 years – that this object will hit [Earth],” Detlef Koschny, head of the Near-Earth Object (NEO ) Segment in the Space Situational Awareness (SSA) programme office at ESA, told astrowatch.net. The upcoming fly-by will also be a great opportunity for scientists and amateur astronomers to observe the rocky visitor from outer space allowing them to gather valuable scientific data and to obtain detailed images. The asteroid was discovered on Jan. 30, 2004 by the Lincoln Near-Earth Asteroid Research (LINEAR ), a Massachusetts Institute of Technology’s (MIT ) Lincoln Laboratory program funded by the U.S. Air Force and NASA. Due to its orbit around the Sun, 2004 BL86 is currently only visible by astronomers with large telescopes who are located in the southern hemisphere. But by Jan. 26, the asteroid’s changing position will make it visible to those in the northern hemisphere. The asteroid takes 672 days to orbit the Sun, ranging in distance between 134 million km, inside the Earth’s orbit, to 315 million km, well beyond that of Mars. Scientists around the world have ruled out any possibility of 2004 BL86 hitting the Earth, assuring that we don’t need to worry even if the calculations aren’t precise enough. “The estimated closest distance is rather large, so I think this object will not collide with Earth, even if there is some error in its orbit,” said Makoto Yoshikawa of the Japanese Aerospace Exploration Agency (JAXA ), member of NEOs Division at the International Astronomical Union (IAU). There are plans to study the object both optically and by radar. NASA’s Deep Space Network antenna at Goldstone, California, and the Arecibo Observatory in Puerto Rico will try to acquire science data and radar-generated images of the asteroid during the days surrounding its closest approach. 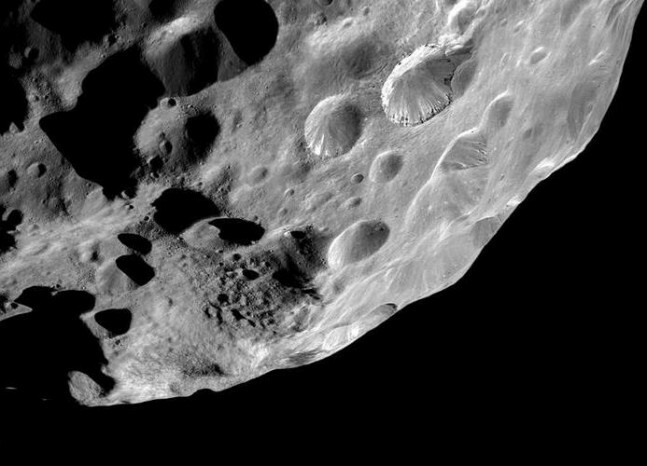 Optical spectroscopy may unveil the asteroid’s surface mineralogy while radar observations should uncover its true shape, size and rotation. 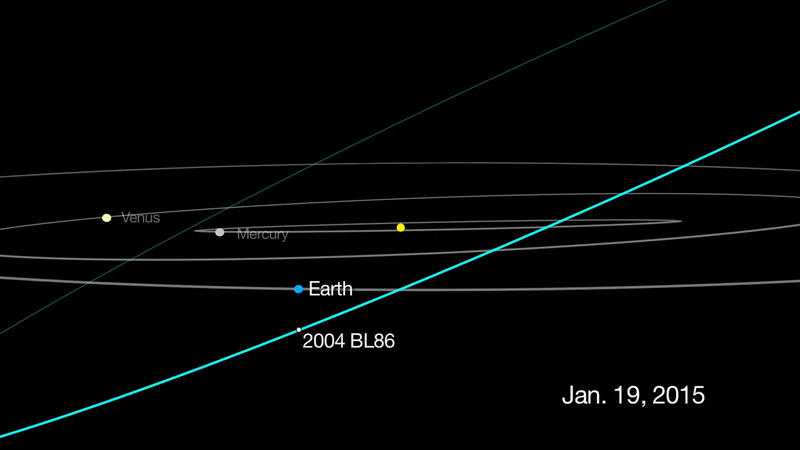 Next time when the asteroid 2004 BL86 will pay us a close visit will be on Jan. 22, 2050, when the object will fly by Earth at a distance of 27 LD and on Jan. 25, 2096 (9 LD). 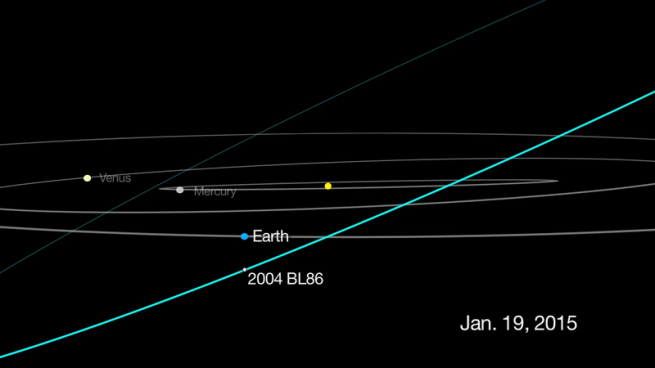 This January is a busy month for near-Earth asteroids. Only this week, two space rocks passed by our planet at a very close distance of less than 2 LD. And on Jan. 26, 2004 BL86 will be accompanied by a 23 meters-wide asteroid 2015 AK45 flying close to Earth (4.7 LD). As of Jan. 24, 2015, there were 1542 potentially hazardous asteroids (PHA) detected. PHAs are space rocks larger than approximately 100 m that can come closer to Earth than 19.5 LD. None of the known PHAs is on a collision course with our planet, although astronomers are finding new ones all the time. im so Worry About Asteroid hitting earth. im so worry Asteroid hitting earth. Where in the night sky do I look for 2004 BL86? Desperately tried to watch for Lovejoy but was hampered every night by poor weather.